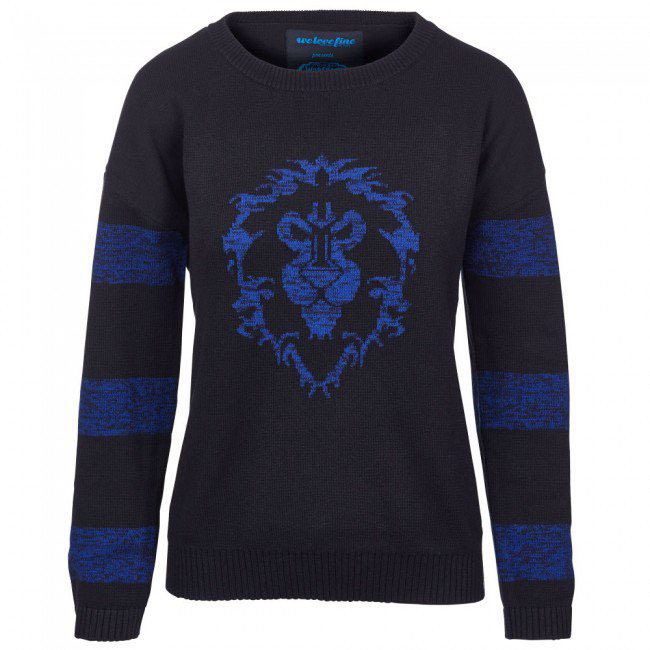 A collection of women's fashion tops and bottoms for Blizzard's World of Warcraft IP. 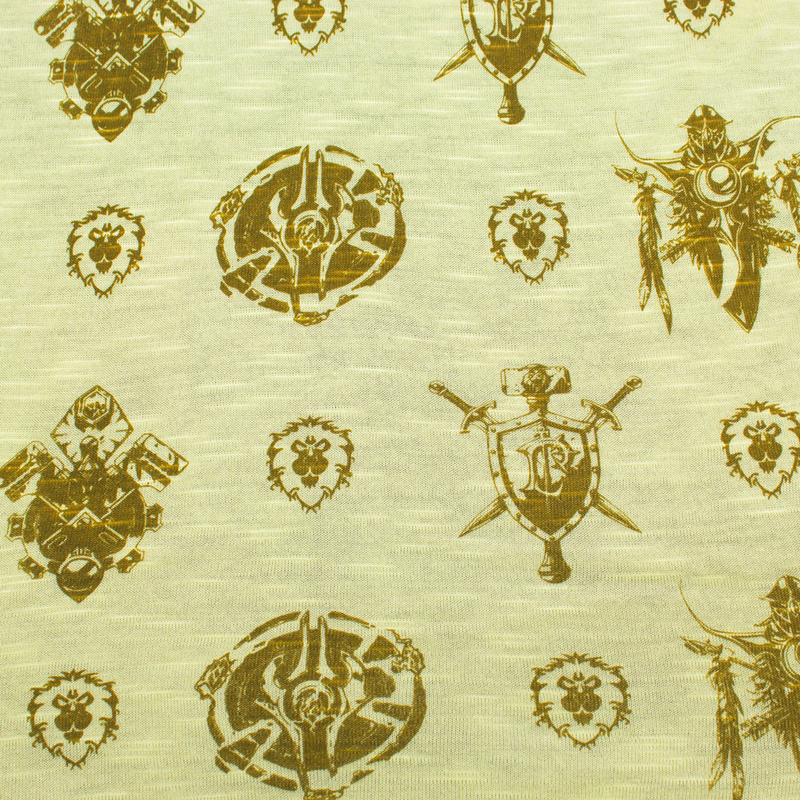 I worked on design and development for these products, including print and trim design. 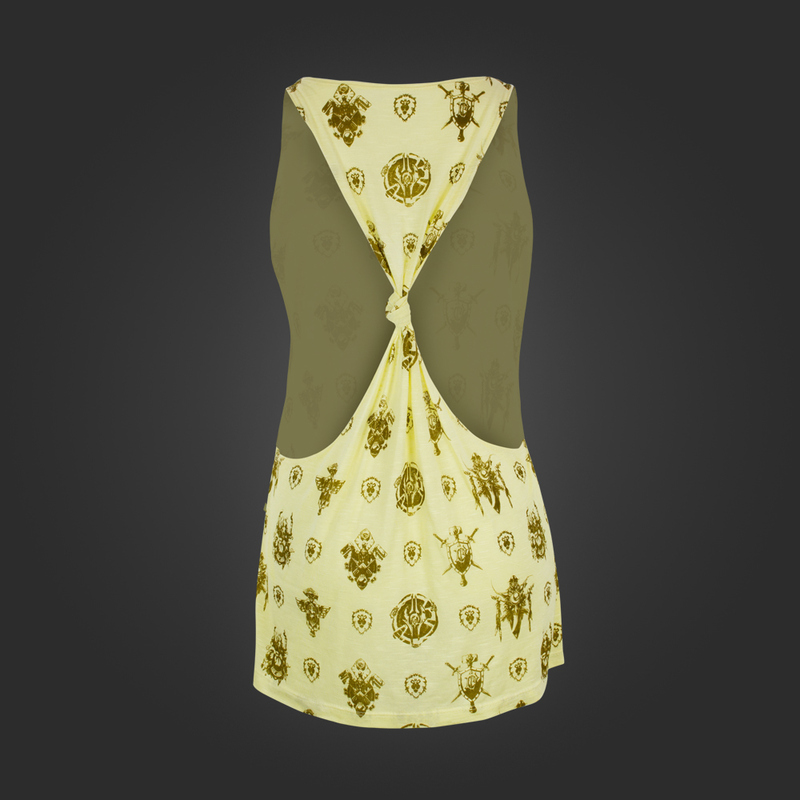 Some products completed development/production following my time at WLF. 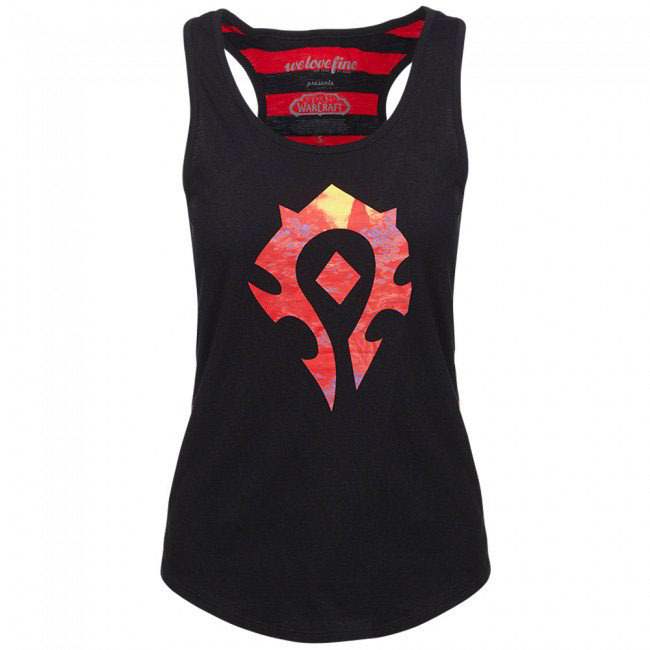 Above: Blizzard World of Warcraft Horde Tank (red) and Alliance Tank (gold). 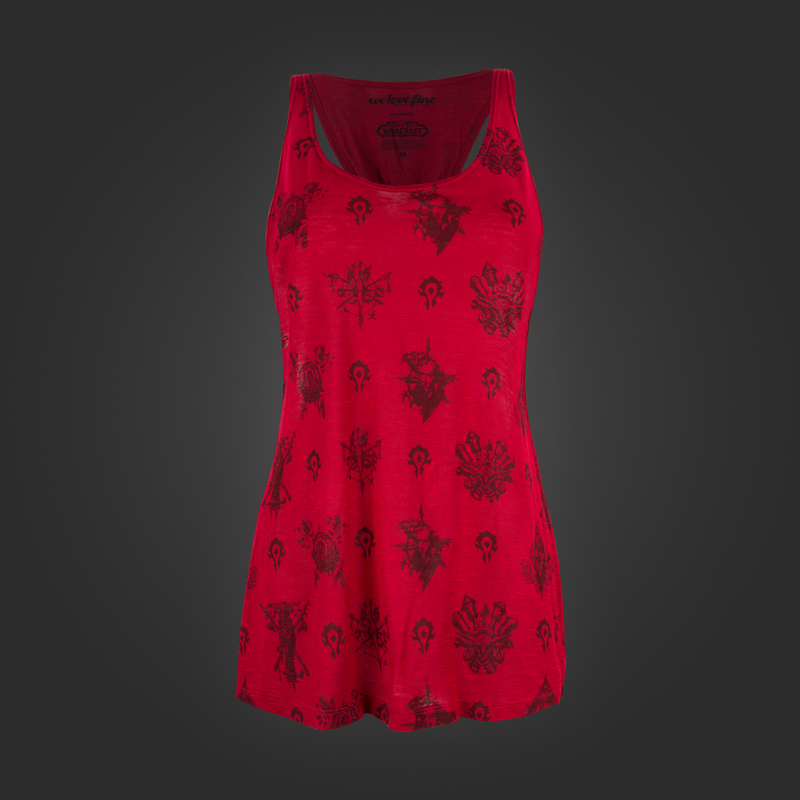 Womens open side twistback tank with all over faction icon and class icons print on slub fabric. 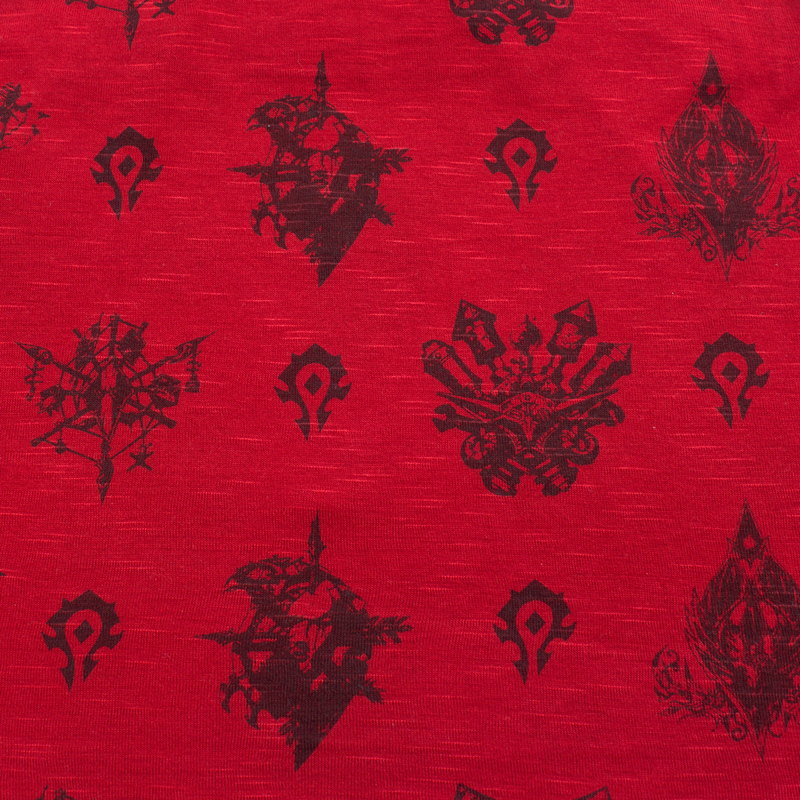 Above: Blizzard World of Warcraft Horde (red) and Alliance (gold) leggings. 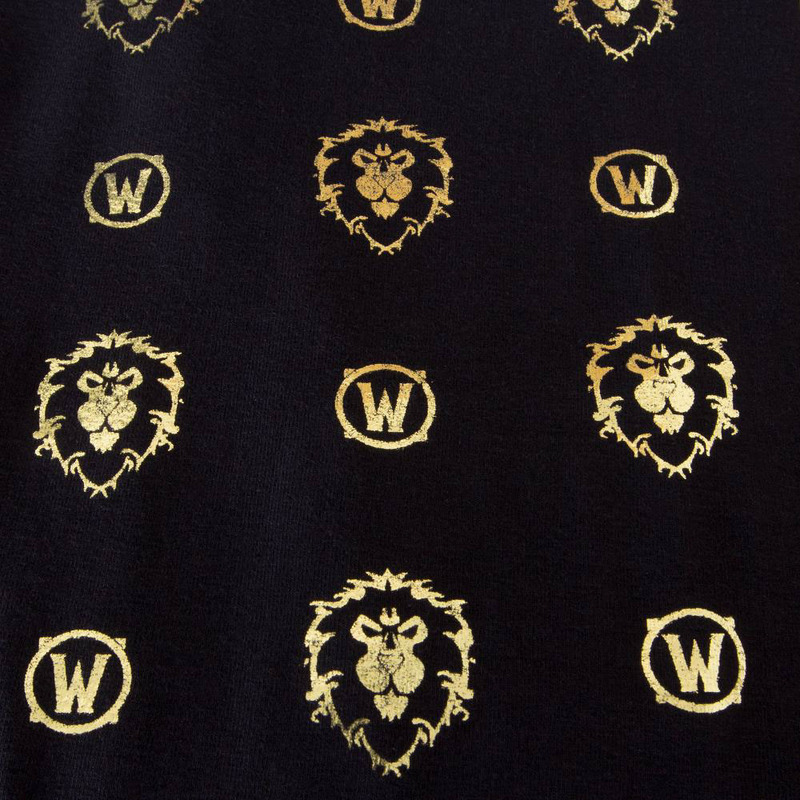 Matte black leggings with an all over faction icon and "W" logo foil print. 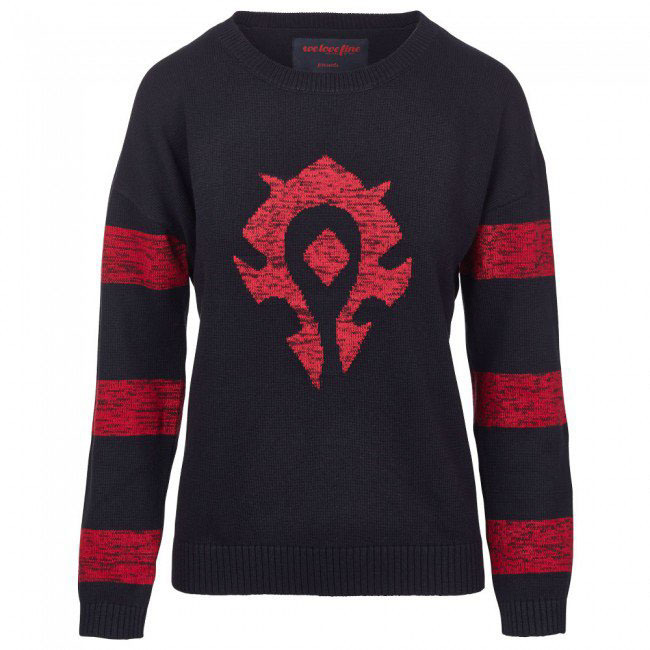 Above: Blizzard World of Warcraft Alliance (Blue) and Horde (Red) Sweater. 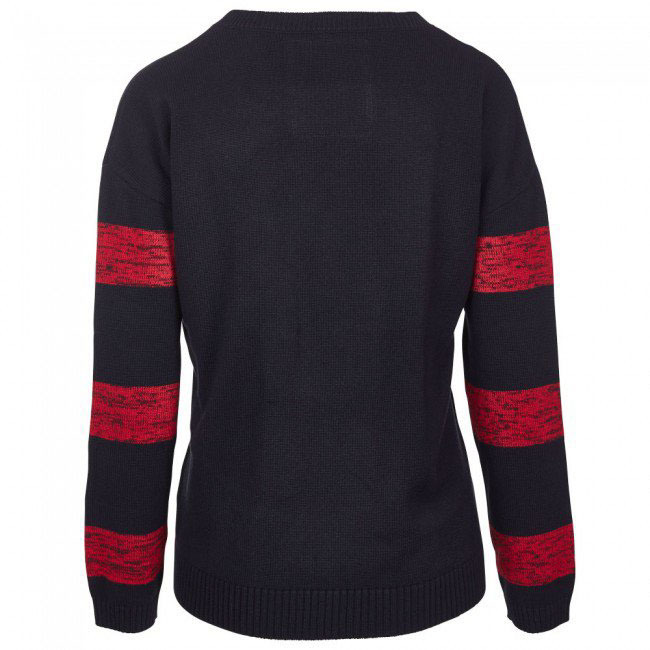 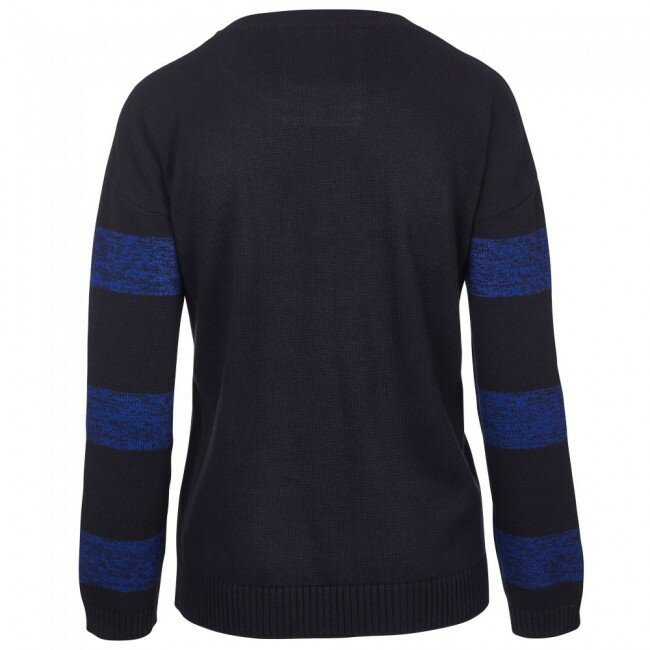 Black knitted sweater with contrast intarsia knit logo and sleeve stripes in space dyed yarn. 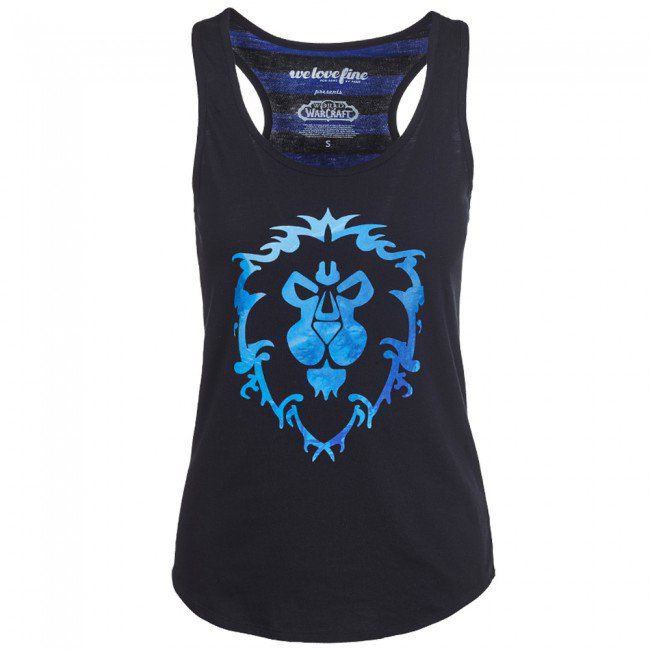 Above: Blizzard World of Warcraft Alliance (blue) and Horde (red) Tank. 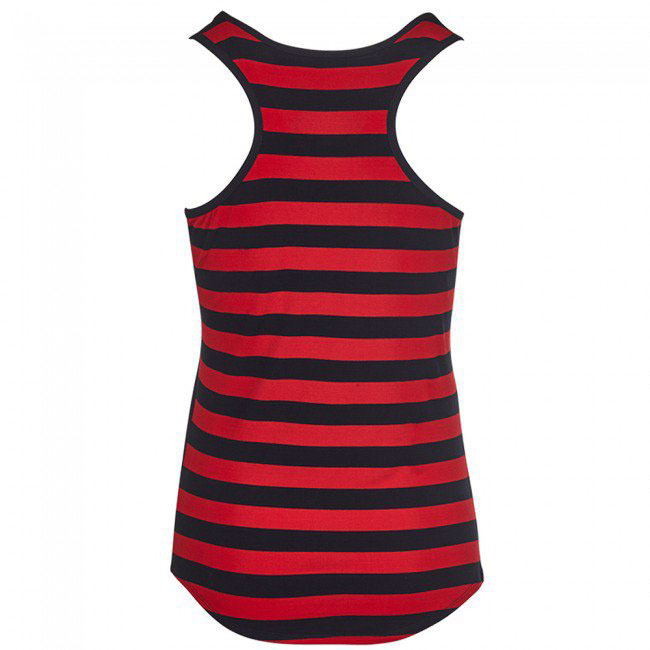 Racerback tank with contrast striped back, printed faction logo with inset image. 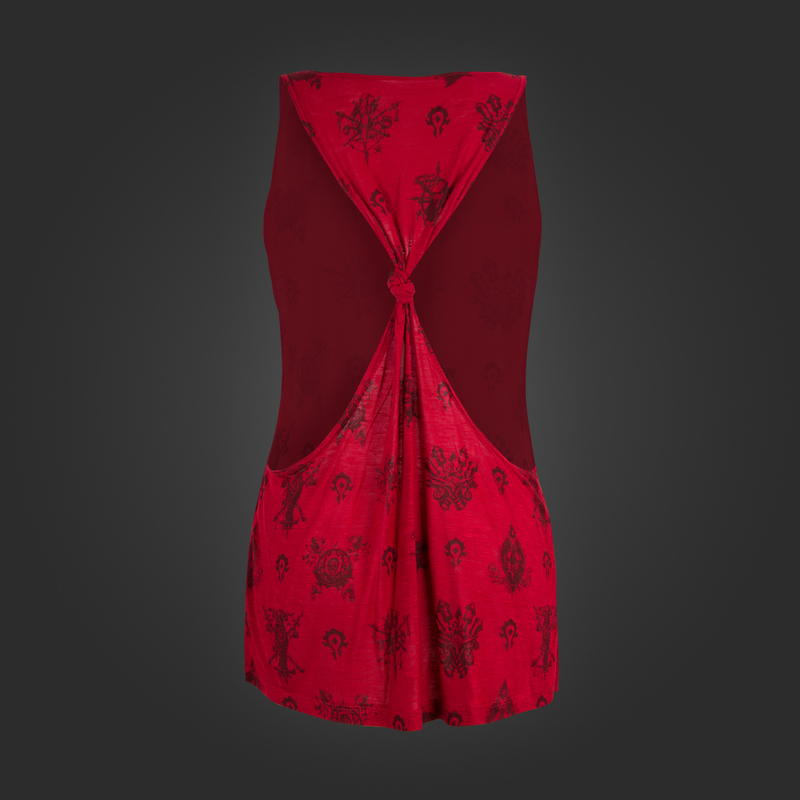 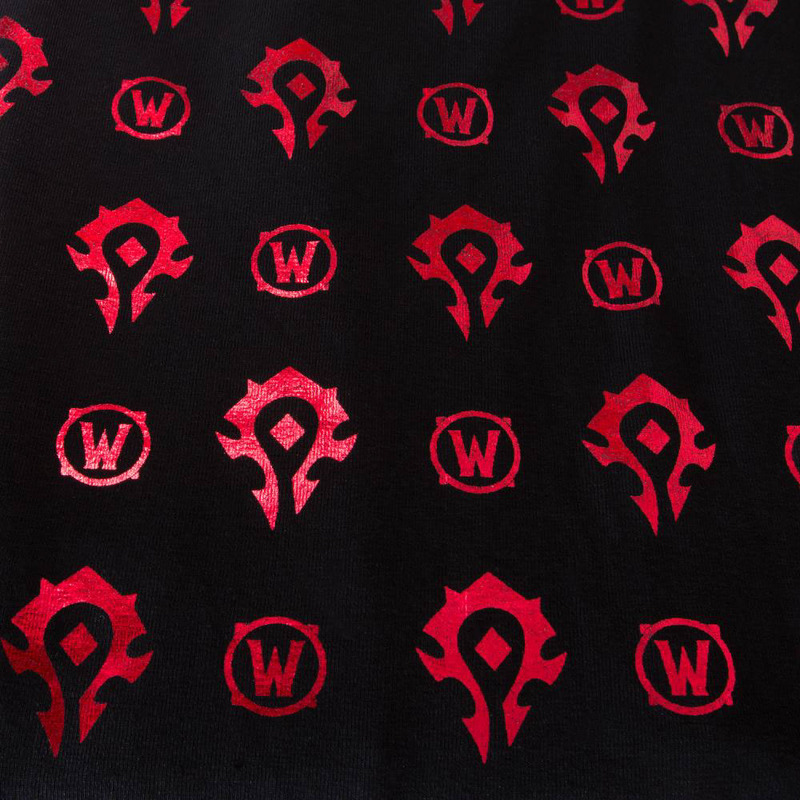 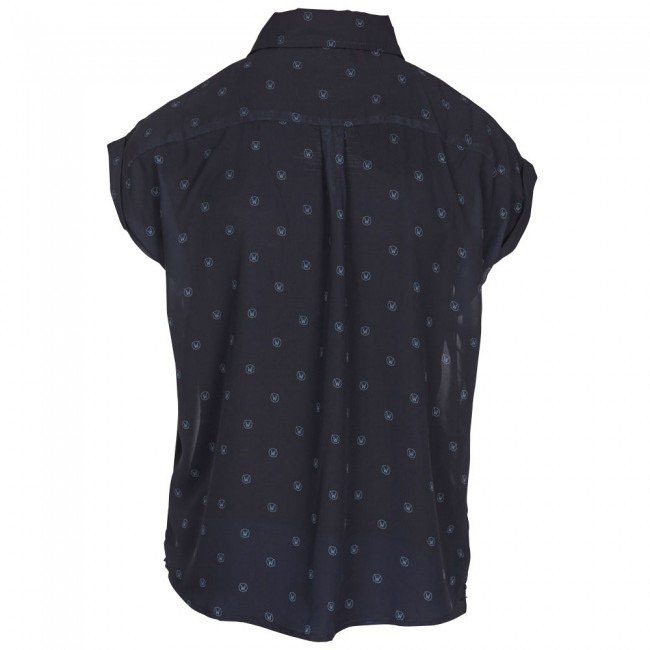 Above: Blizzard World of Warcraft Microprint Chiffon Top. 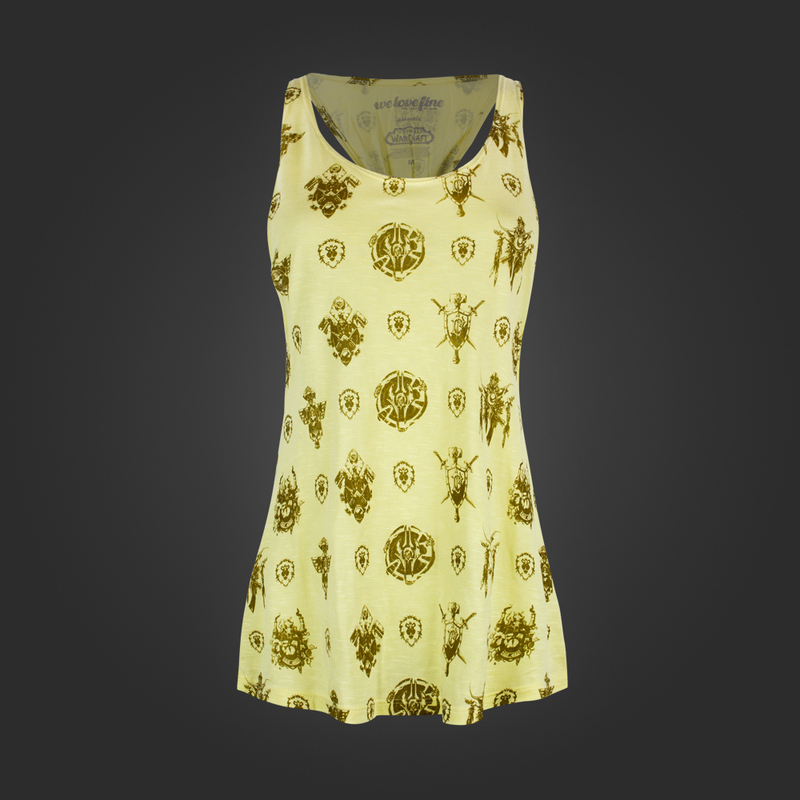 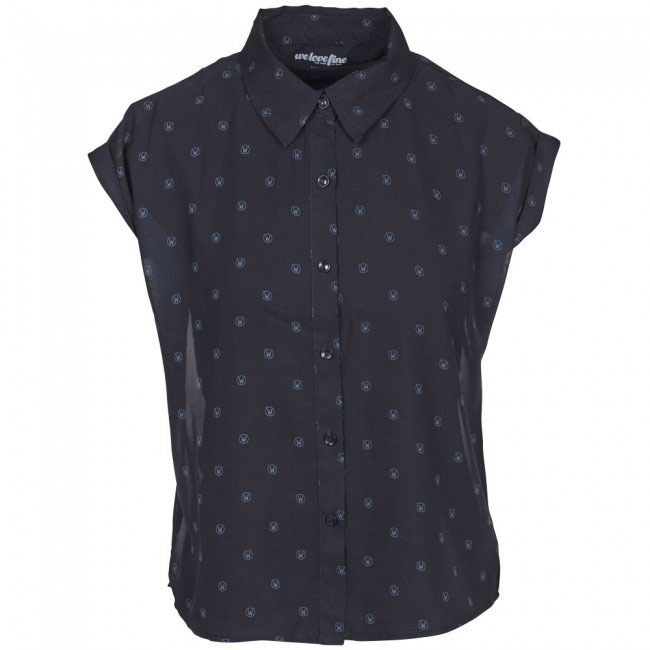 Sheer loose fit blouse with all over "W" logo microprint. 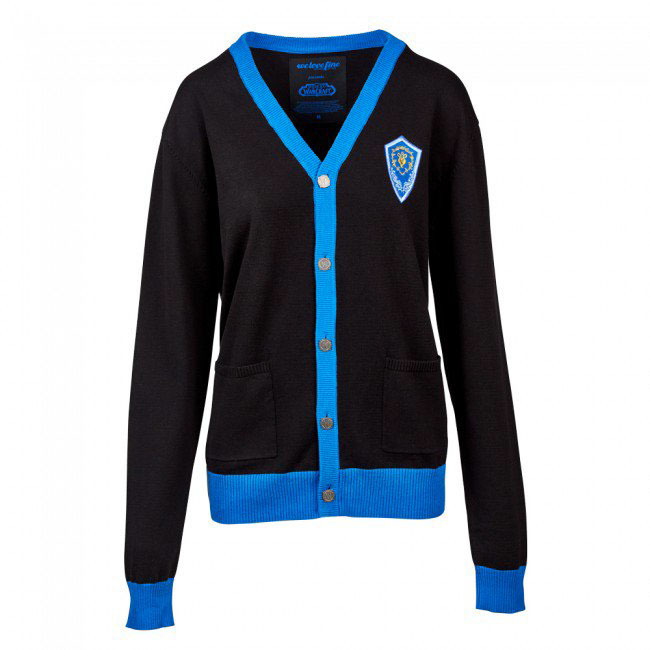 Above: Blizzard World of Warcraft Alliance (blue) and Horde (red) Cardigans. 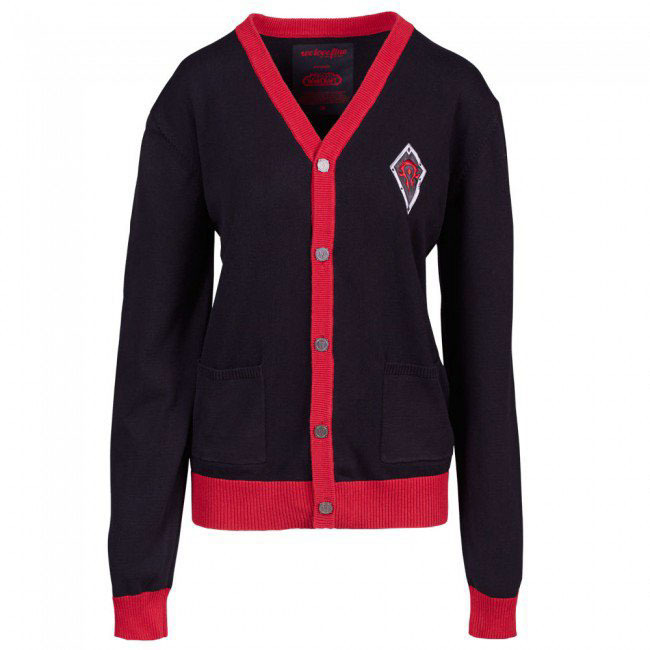 Knitted cardigan with contrast color ribbing/placket, "W" logo metal buttons, and embroidered faction shield appliques at the chest.